Northridge East Neighborhood Council | Making Northridge, CA a Better Place to Live, Work, Play, and Learn | How Will LA's New Street & Sidewalk Vending Program Work? How Will LA’s New Street & Sidewalk Vending Program Work? 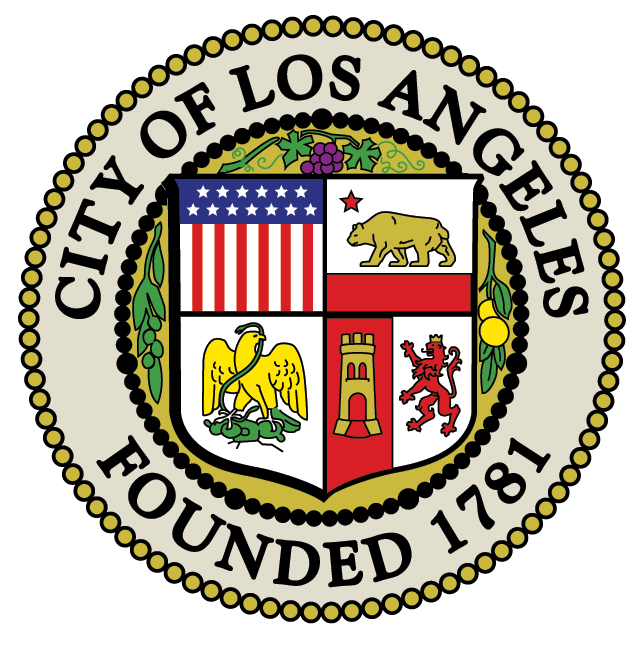 Sidewalk vendors who sell hot dogs and churros around Los Angeles will be able to get permits after the City Council approved the idea Novermber 28, 2018. A plan to legalize and regulate sidewalk vending has been working its way through City Hall for years. The approval came on a 13-0 vote on Wednesday. Q: What was voted on today? The City Council voted on a plan that will let sidewalk vendors sell food and other items legally and obtain permits. In a nutshell, it will establish rules and regulations for the thousands of street vendors who work all over the city, in compliance with a new state law. Now, there are still some details to iron out. On Tuesday, three council committees recommended moving ahead with a permit system. This is what advocates for the vendors have been supporting. Vendors will eventually be able to pay a fee and get a permit. These fees will be used to help police the program and educate the vendors about the permit system. Vendors will get a steady spot to sell from and will need to follow certain rules. Q: It seems we’ve been talking about street vending regulation for a long time. This permit plan has been in the works for a while, hasn’t it? Yes, this particular plan has been under review for five years. Back in 2013, Council members Curren Price and Jose Huizar first introduced this proposal to legalize street vending, and it has been evolving ever since. There have been countless committee meetings, public meetings and rallies on this issue. But the plan really got a push this fall. That’s when Gov. Jerry Brown signed a bill, S.B. 946, which decriminalized street vending all over the state. That’s not to say street vending became legal, but it made it so that vendors are no longer subject to criminal penalties. The idea in part was to keep them off the radar of immigration officials, since many street vendors are immigrants, including those in the country illegally. The city took a similar step last year, before the state acted, but a vendor can still get a citation for selling on the sidewalk, much like a parking ticket. And until the new ordinance kicks in, they can still be cited. However, the approved plan allows for lower citation fees. What’s really moved this forward, though, is that the new state bill also calls for cities to come up with a way to regulate street vendors in accordance with the state law, which kicks in this January. If they don’t have specific regulations for vendors to follow, they can’t cite vendors. So the city was trying to comply with that law by the end of the year. Q: So how will this permitting work? Street vendors would pay for a permit to set up on sidewalks and get a regular spot, with certain restrictions. For example, vendors will have to maintain a set distance from one another, and they can’t block the public right-of-way. They would need to obtain health permits from the county — which, by the way, some already do. There would also be no-vending zones around the city. One example is Hollywood Boulevard. That’s where lots of brick-and-mortar merchants have complained about vendors crowding the sidewalks and competing with small businesses. Under the new ordinance, street vendors must stay 500 feet from the Hollywood Walk of Fame, Universal Studios, and the El Pueblo de Los Angeles historical monument near Olvera Street. They’ll also have to avoid Dodger Stadium, the Hollywood Bowl, the Staples Center and the L.A. Coliseum during events. Q: Wouldn’t businesses have veto power over where street vendors can operate? No, that was once in the proposal, but it proved very contentious. The city had also considered limiting vendors to two on each side of a city block. This is no longer planned. But the city is moving ahead with the restrictions noted above, and also some limitations in parks. For example, street vendors won’t be able to set up within a certain distance of a park building, such as a recreation center. Q: If there is a permit system, how much would it cost? And will there be some that don’t want to pay? The cost of permits won’t be determined for about another year. Vendors attending Wednesday’s City Council meeting said they would be glad to pay for one; one said he’d appreciate a flexible pricing system. However, back in the 1990s, there was a failed attempt to create a street vending zone in MacArthur Park. Some paid to operate there – and there were vendors that did not want to pay, and they undercut the ones who did pay, and the whole thing eventually went bust. This is one reason why vendor advocates have pushed for a citywide system. Q: So will I still be able to walk down the street in Silver Lake at night and get a bacon-wrapped hot dog? You should be able to get a bacon-wrapped hot dog. Your favorite vendor may not be in the same spot, but you’ll see be able to find someone selling hot dogs. Q: When can we expect the plan to kick in? According to the city attorney’s office, enforcement of the new rules can begin after the mayor signs the ordinance and it’s published by the city clerk. The mayor has 10 days to sign it. But it might take the city another year to flesh out the planned permit system.